The LIFT House is an amphibious housing solution for flood prone communities. It is an innovative house that floats up with rising floodwater and returns to ground as the flood recedes. The first LIFT project was completed in Dhaka, Bangldesh on January 2010. 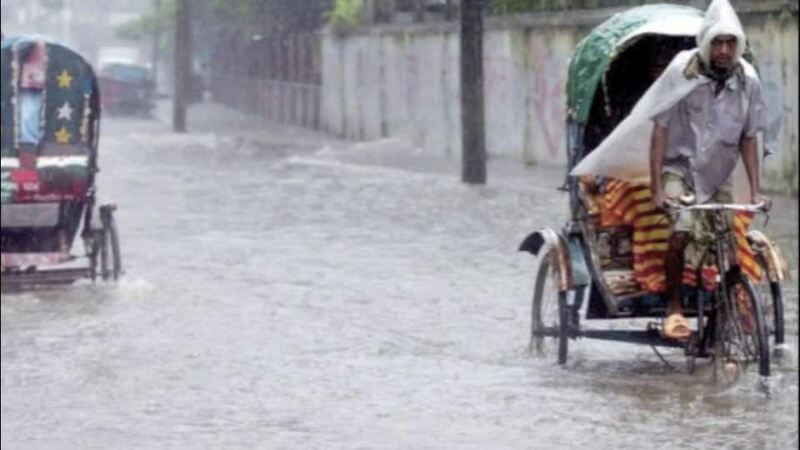 Millions are displaced and many lose lives during severe floods due to the overflowing of rivers, inadequate drainage and monsoon rain in Bangladesh. Experts of climate change predict that flooding will worsen as the Himalayan glaciers melt at an increased rate pushing excess water through the river systems of Bangladesh. Floods cause the most damage to the low-income population who live in informal settlements throughout the urban centers of the country. The LIFT House provides low cost, flood resilient housing that is amphibious: functions both on land and on water. Instead of restricting the passage of water the architecture adapts to flood water. Flood mitigation is taken from large-scale interventions to the scale of the individual house. Amphibious architecture is a cost-effective, safe alternative to permanent static elevation and is achieved by the design of buoyant foundations.